This LG 55" 4K HDR OLED OLED55B6P TV is in excellent / great working condition. The unit has been fully tested and is completely functional. LG OLED TV, Remote control, Stand base, and AC power cord. 48.4" x 28.1" x 1.9"
48.4" x 29.9" x 8.9"
57.1" x 32.5" x 9.0"
Enjoy brilliant brights and the deepest darks for infinite contrast, rich color and an exceptional high dynamic range viewing experience, including support for Dolby Vision™* content. With their perfect black and cinematic color, LG OLED TVs have earned prestigious Ultra HD Premium certification. 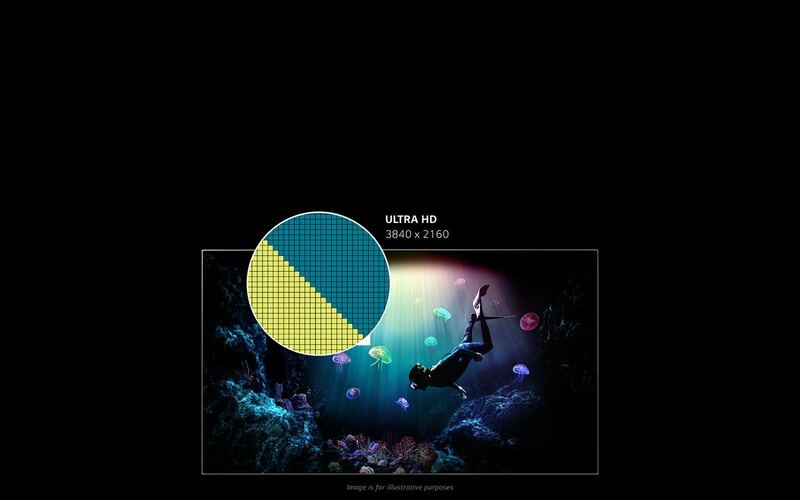 The individually illuminating OLED pixels can brighten, dim and power off fully to achieve perfect black. Perfect black is essential to a more lifelike image as well as the great shadow detail you can only get with OLED. LG OLED TVs display Intense Color with a color palette that virtually matches those seen in today’s high-end digital cinemas. Now the home theater experience is on a par with real theaters. 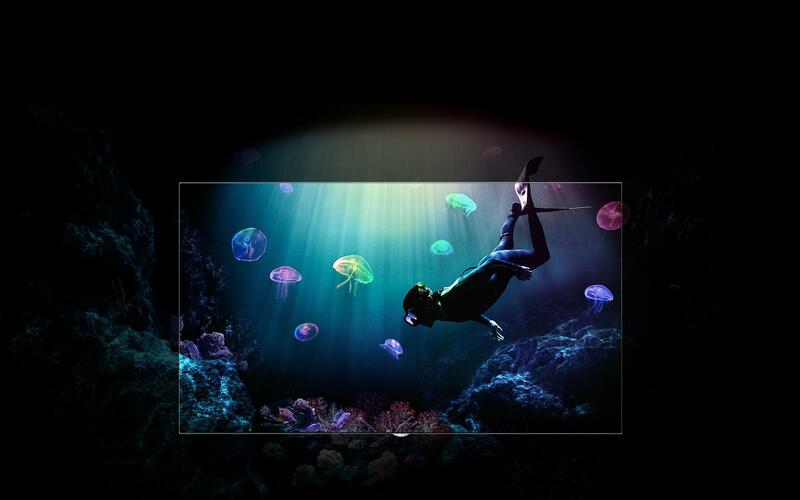 LG OLED 4K TVs contain nearly 8.3 million pixels, so their resolution is four times that of Full HD. The breathtaking clarity and fine picture details will amaze, even up close on a large screen. 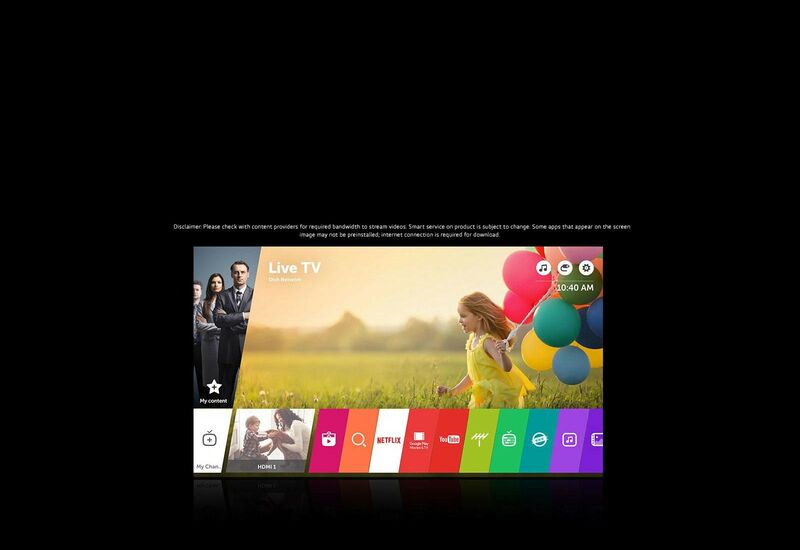 webOS 3.0 is the latest generation of the acclaimed LG Smart TV platform. The user interface is more intuitive than ever, mobile devices can connect seamlessly, and now it’s more fun than ever to find and enjoy exactly what you want to watch with apps such as Netflix, YouTube and Channel Plus.